Why go to a Peterbilt truck dealership when you can receive superior truck repair at affordable prices with a local truck shop? And you'll appreciate far better, more personal customer service. At Tri-County Diesel Service in San Antonio, we treat our customers as we would like to be treated-with respect, candor, and kindness. Our truck shop is truly part of the local San Antonio community, which means we see our customers as friends and family, not dollar signs. We will never recommend services you don't need, and we'll always provide you with a free estimate before completing any repairs. Our good reputation means something to us, so you can always count on honesty at our shop. 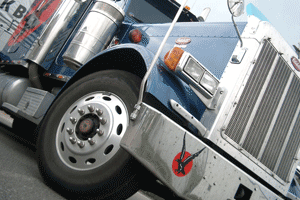 If you drive a truck or operate a fleet in San Antonio, TX, join the many other truck owners in the area who trust their Peterbilt trucks to Tri-County Diesel Service for maintenance and repairs. As our customer, you can count on reliable service and quick turnaround times. Contact us online or call to learn more about our shop.